If you are reading this article, then you’ve probably had enough. You’re fed up with spreadsheets, calendar reminders, and sticky notes. 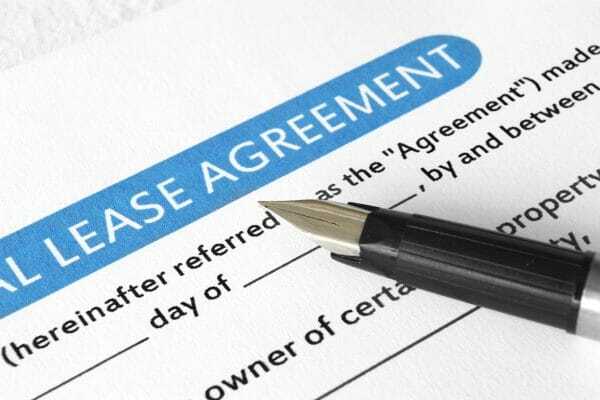 There must be a better way to manage your commercial rental lease agreements – and you’ve decided this is the day to find it. With Leasecake, you never forget essential lease events. Right off the bat, let’s compare notes and make sure we’re on the same page. Does any of this sound familiar? You own or manage a small portfolio of commercial real estate. Your team is made up of just a few people. Tracking expirations, rent increases, late fees, and insurance certificates is way too time-consuming. You’re always calling back to the office when you need info about a lease document. If we just described your business, then you’ve probably already discovered there is plenty of property management software designed for the big players, but not much for smaller investors. Platforms such as Buildium, Cozy, and Yardi are fantastic tools for large-scale property owners. But they either offer more features and complexity than you need, or they are intended for residential landlords. You don’t want an enterprise-grade system – you want software that’s simple and doesn’t get in your way. Up until now, the best option for the mom-and-pop or family office has been a fragmented collection of tools including calendar reminders, email threads, physical file folders – and the good ol’ reliable spreadsheet. But Leasecake fills the void with a platform that manages key dates, tracks payments, and enables engagement within a shared network of owners, tenants, and brokers. Our software consolidates information in a mobile platform that gives commercial real estate owners the immediate access they need to access all the “dates and dollars” currently trapped in spreadsheets. Forgetting about a tenant renewal or rent escalation means you’re leaving money on the table. But beyond that, it can introduce friction into what was previously a friendly, collaborative relationship. We’d like to help you avoid that conflict. There needs to be a symbiosis between both sides of the rental relationship. Because when a tenant’s business thrives, it’s good for the landlord as well. Before you spend another month living in spreadsheet world, please check out our demo and then give Leasecake a shot. We think you’ll love the way it simplifies lease management for commercial real estate owners, tenants, and brokers.